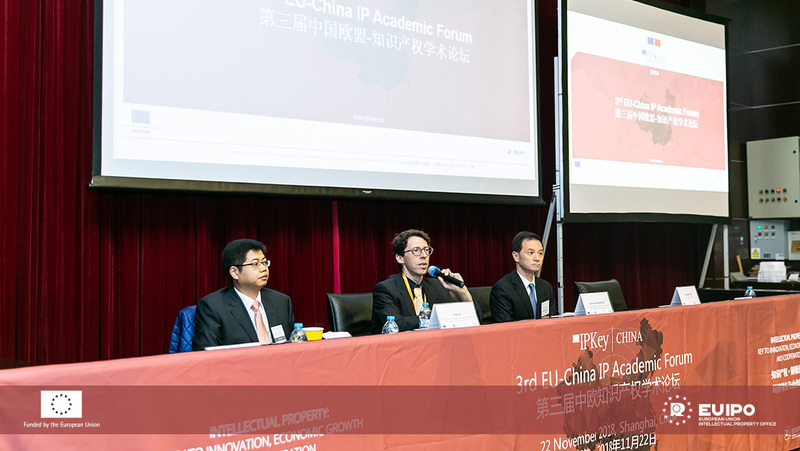 22 November marked a new stage in the development of the EU-China IP Academic Network (EUCIPAN), an initiative of IP Key China to support exchange between EU and Chinese universities specialising in intellectual property. 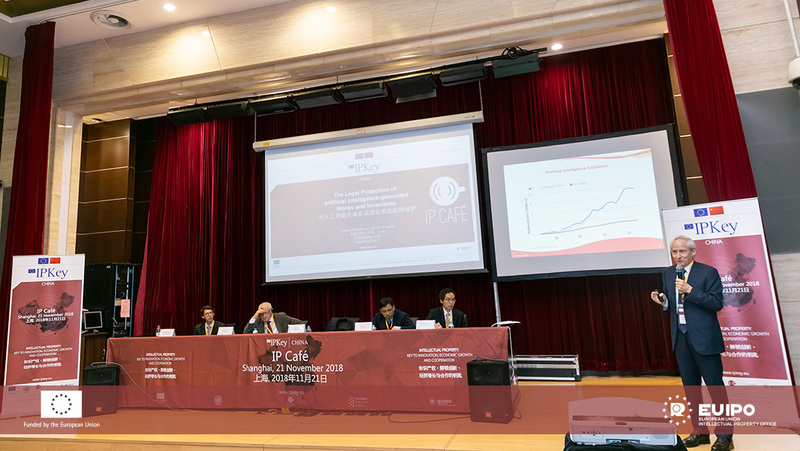 The Third EU-China IP Academic Forum, hosted by Fudan University Law School, brought together over a hundred professors, researchers and students to join the discussions and shape the future of IP research cooperation. During the Academic Forum, 21 world-renown academics representing leading universities and research institutes in IP convened to discuss next steps in further developing EUCIPAN. In addition, three panel discussions provided opportunities to exchange the latest research on such current trends in IP including but not limited to protection of copyrights in the digital age, patent protection for 3D printed objects, cross-border technology transfer as well as responsibility of fair renumeration, etc. Please find the full range of topics and presentations on the Forum webpage here. On the margins of the Forum, an IP Café dedicated to the Legal Protection of AI-generated Works sparked stimulating discussions on how the IP legal framework shall adapt to an area where distinguishing between human and computer created works are increasingly challenging. Universities and academics are invited and encouraged to join the platform, share resources and research successes in order to reap the fruits of ever closer academic cooperation in the field of IP. The Fourth EU-China Academic Forum will take place in 2019, hosted by the EU. For receiving updates, latest news and uploading profiles, please register here. For further information, please download the EUCIPAN presentation or contact the network via eucipan@ipkey.eu. A customised user guide is available here to help navigate the platform. For general information on IP Key China, please contact INFO@ipkey.eu.